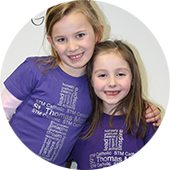 STM Catholic has partnered with BornFit to offer our students and parents a wide-variety of high-end apparel options to complement your everyday activity. Orders and payment can be done directly through Bornfit and shipped directly to your home approx. 2-3 weeks after the order closing date. Sweatshirts ordered through the STM Catholic Spirit Shop are permitted to be worn in the classroom.